The great British Catholic convert GK Chesterton wrote: “the way to love anything is to realize it might be lost.” This quote can especially cause us good reflection as we com­mence Advent. It is interesting how this can describe cars, homes, sentimental possessions, all things that can serve useful purposes but interestingly, we will lose! But Chesterton is referring to our deepest desire and if cultivated, our deepest love: Jesus Christ and His birth, suffering death and resurrection. To live as if we could lose our Lord, whether it be religious freedom, or to competition from worldly desires, or to tragically lose eternity is something that should cause us abrupt sobriety about life, our relationships with others, and entrenching Jesus more deeply in my soul. We will instantly agree, intellectually, that our faith is our greatest and only true possession. But how can we live this with necessary passion? Today is the first Sunday in Advent, the first day in the new Church year. Advent comes from the Latin words “advento,” which means an approach with haste, and “adventus,” which means anarrival. In the early Church this became a time of preparation for the Ultimate Event that should still cause incredible awe within us. God Himself calls upon a young Jewish girl and announces that He will enter human flesh and she will be His mother, while yet remaining a virgin. It remains a stunning reality how many schools and offices will celebrate Christmas without ever mentioning the name of Jesus Christ. There is only one reason there is such a celebration this year; because the God-man Jesus Christ assumes human flesh and is born of the Virgin Mary. With such a radical truth to what Christmas really is, an important question arises: how am I preparing for the coming of the Lord? 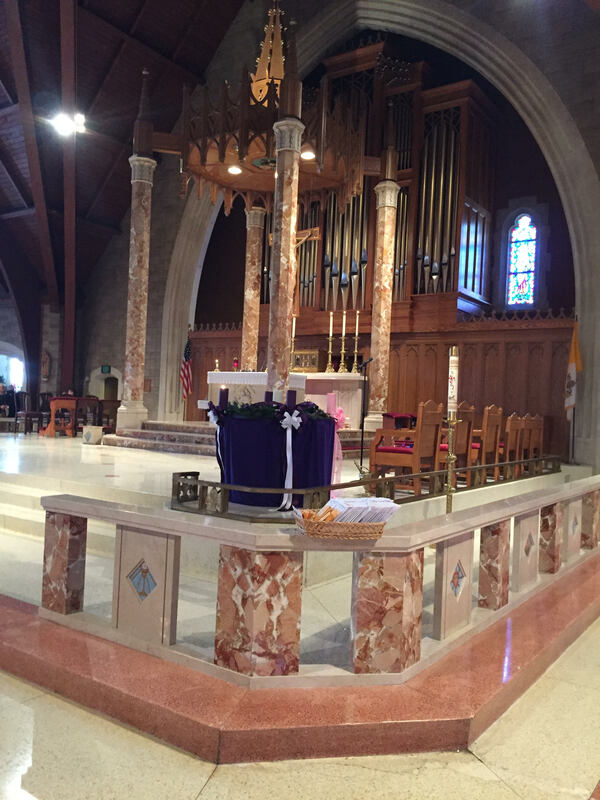 The fact that the liturgical color is purple for the season of Advent should remind us that we are meant to be penitential through this season until the day of Christmas itself. Purple is a sign of pen­ance as well as royalty, to signify that we should perform some acts of mortification and sacrifice in order to open our souls up to the grace that God will bring. Simple preparations include confession, cleansing the soul from mortal and venial sin. With mortal sin, one cannot approach Holy Communion without going to confession first. But additionally, we should give up something for Advent as well as Lent. Why? Because the flesh has a serious inclina­tion towards pride, self-indulgence and egotism, all outgrowths of original sin. A crucial reality of our journey through this world is that we must retrain the body to self-sacrifice and putting God first in all things. Penance and grace are key to this. Also, almsgiving to the poor, as well as seeking to recon­cile, at least in our hearts, grudges we may have with others. Children (all of us!) are born with a natural wonder for God as well as these inclinations toward sin. The more they are taught to put Christ first, explicitly and daily, the more they will grow up with a truly balanced and healthy view of life. In a bizarre modern twist, self-sacrifice is taught and embraced regarding sports, but not Sunday Mass and daily prayer! Thus, teaching children to explicitly sacri­fice sports for Mass if necessary, and for the poor, brings them into greater imitation of Christ. It will also increase their sensitivity and conscious need to seeking the strength God gives that the world cannot. As we commence Advent, let us recentralize Christ in all things, and especially pray together as families to prepare for the coming of the One who matters most: the God-man Jesus Christ, the only One who can bring us to paradise. Please note our impending Christmas Concert on Sunday, December 16th at 4pm with our incredible adult choir! The music featured will especially be in praise of our Blessed Mother! Also, please set aside Saturday, December 8 after the 4:30pm Mass as our youth group will sponsor a great pasta and more dinner, see inside for details! They will also lead a blanket assembling project for anyone who wishes to help for the needy in Bridgeport! Please join us!